451 Research publishes Impact Report on LISTEQ. Rotterdam, The Netherlands – December 4, 2014 – LISTEQ, the global leader in end-to-end and easy software for Cloud/Hosting Providers to create Desktops-as-a-Service, announced it has been featured by 451 Research in a new Impact Report titled “LISTEQ says there’s a DaaS alternative to VMware, Citrix and Amazon for SMBs”. 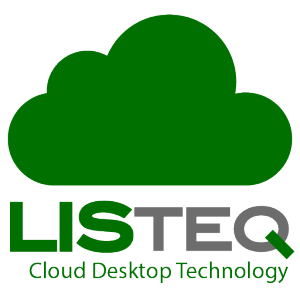 LISTEQ Cloud Desktop enables hosted virtual desktops or DaaS. Because it’s delivered with BYOD client software for all platforms and devices (Windows, OS X, Android, iOS, Linux [Ubuntu] and HTML5), it’s accessible from anywhere. From a channel point of view, the product is scalable, rebrandable, and licensed so that service providers can establish a high margin business.